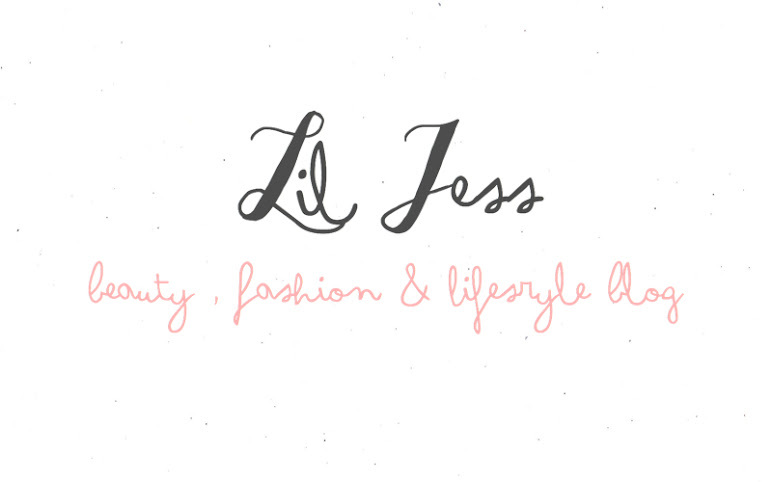 I can't quite believe we are now finally in October and what better way to kick start my October than share with you all my September Favourites. September is always one of them months that I feel I just blink and it's gone.....it's also one month that I always seem to have mixed feelings and emotions about. 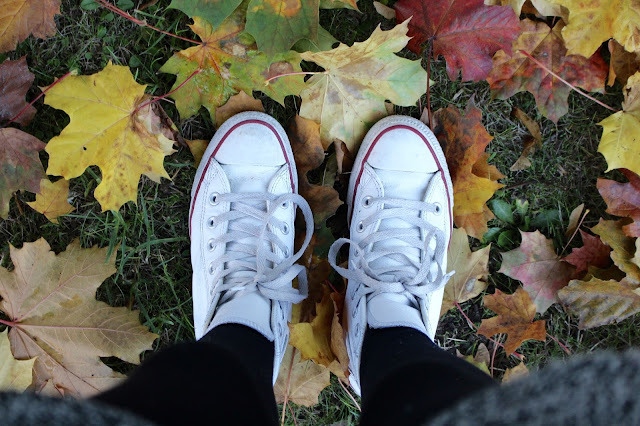 September was a HUGE big whirl wind of crazy, and I've only just started getting back into the swing of blogging......and boy I've missed it. Lush Bubbly Shower Gel - Lush FINALLY have there always highly anticipated christmas collection out! 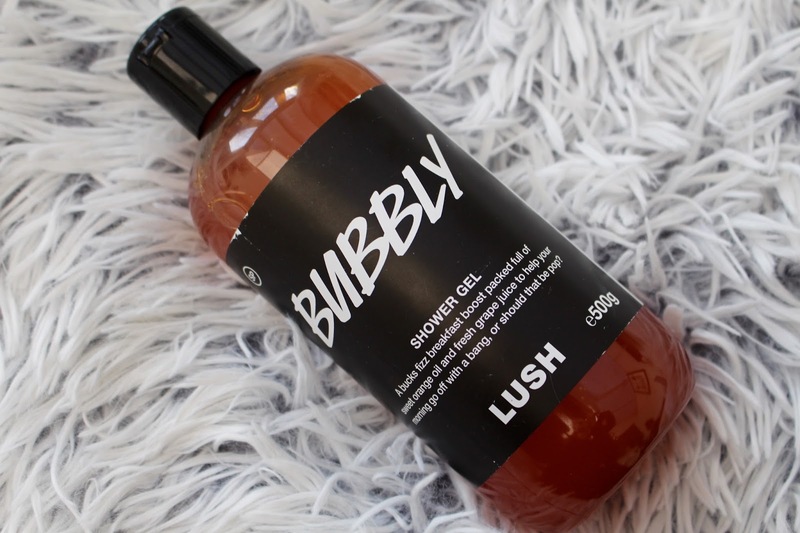 and boy it doesn't disappoint.....I recently bough Bubbly Shower Gel and I've just been loving it's truly scrumptious smell. It's packed with Lime and Vine Leaf Infusion so it really wakes you up and gives you that festive boozy kick to your morning shower, It's UH-MA-ZING as bubble bathe too, honestly if you check out one product this month make sure it's this! 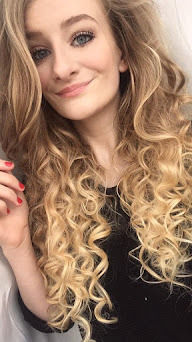 Big hair is something I love, I have super long hair so anything that adds texture and va va voom is a god send to me! 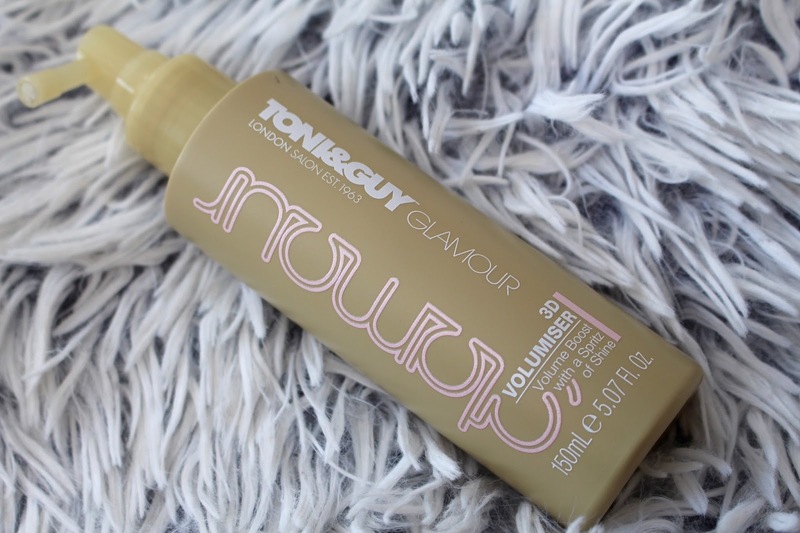 throughout September I loved using my Toni & Guy 3D Volumising Spray, simply spray a lil bit into the roots of the hair give it a bit of a shush and ta da, volumised locks in just under 30 seconds. This smells SO good and gives hair that perfect amount of texture and bounce without it looking like you been electrocuted, I've used this pretty much every other day. 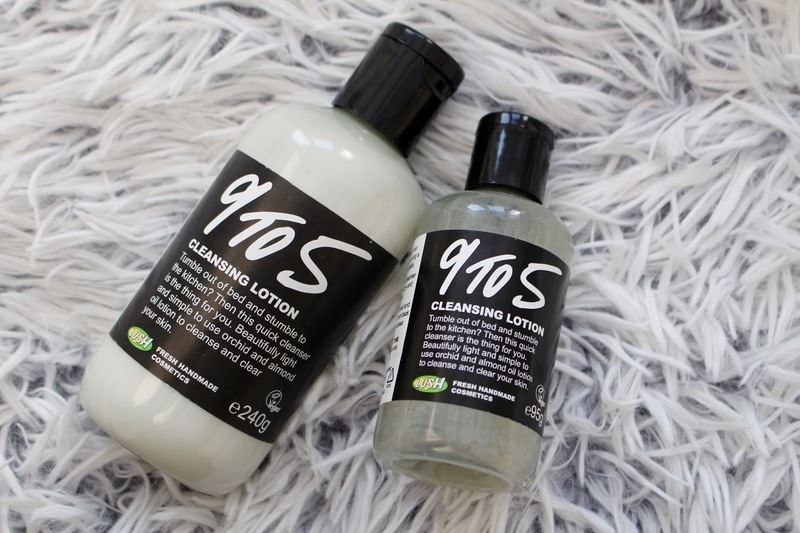 I decided at the start of September to switch up my trusty Liz Earle and decided to give Lush's famous 9 to 5 Cleansers a whirl and surprise surprise I've fallen in love with it! It comes just under the £10 mark for the standard size or under £5 for the 'travel size' as I like to call it. It glides the days face away like a dream and leaves my skin smelling oh so fresh and softer. I used to LOVE Lush's Baby Face Cleanser and 9 to 5 I love just as much, infact this is my second bottle! It's cheap cheerful and does the job. Foundation wise my always trusty Nars Sheer Glow has out shone the others, it's honestly the best foundation in the world, it's not cakey at all, it gives a really natural and flawless look to the skin, I love the formula of this foundation it's a creamy thick liquid that then dries into a nice powder when applied, it leaves this fresh face dewy look to the skin and I honestly can't recommend this foundation highly enough, it's amazing at covering any blemishes too, evens skin-tone out nicely and just is an all round dream foundation. I just frickin' LOVE it. One thing I love about Nars is the colour range they actually have one bottle for every skin tone, which is awesome for us pale girls. If you're pale like me I'd highly recommend you check out the Sheer Glow for a foundation, I know it's expensive but trust me it's the best foundation I've EVER used! 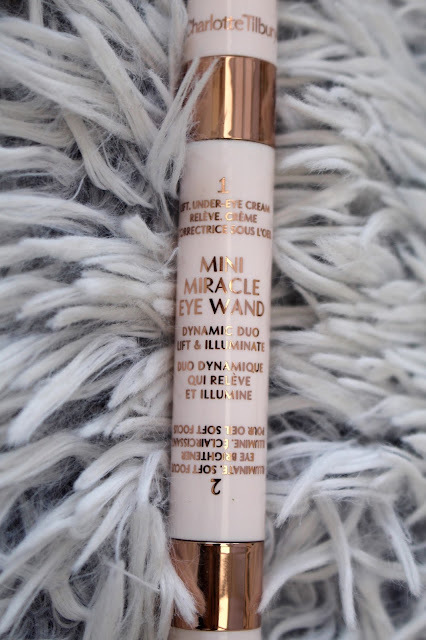 Eyes wise my dark circles are something I always like to hide and then re-discover after a long old day.....one product that I have become ever so slightly obsessed with is Charlotte Tilburys Mini Miracle Eye Wand. It has an eye cream one end and the other end has these micro-particles that brighten shadows aka my bessie mate dark circles. It's basically an amazing little wand that after 2 clicks and a lil bit of blending, gives the 'I've had 8 hours sleep look' which let's face it the whole world is tired and this is one of them beauty products EVERYONE should own. 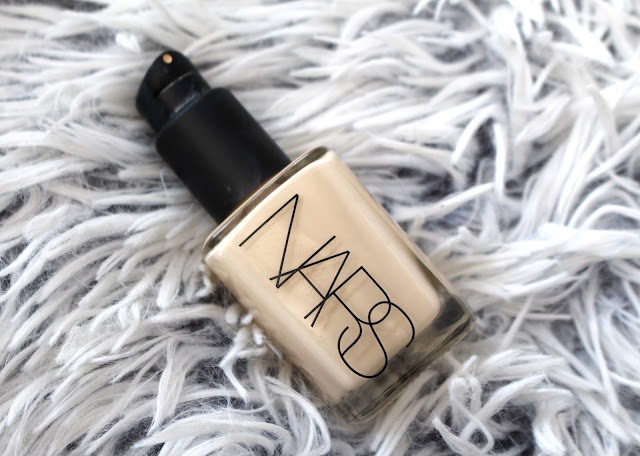 I apply this just before my concealer and it actually makes my concealer last longer too. 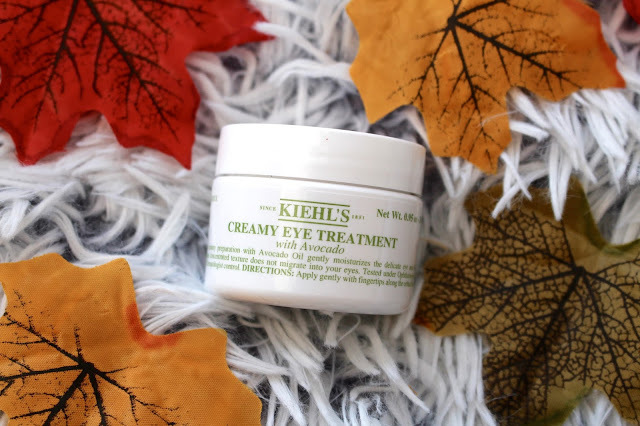 It just dramatically brightens my whole eye area and leaves my eyes feeling hydrated too. 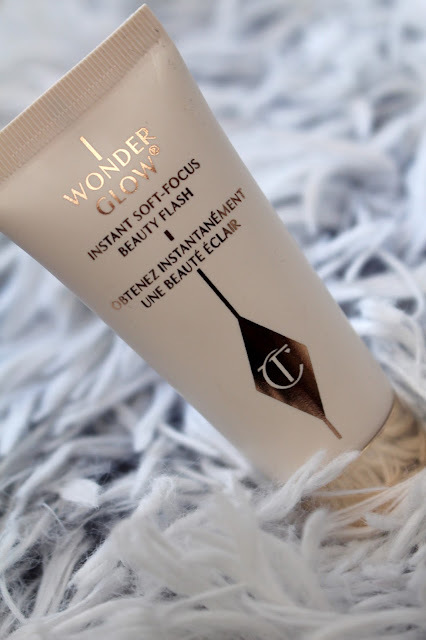 I've also been loving Charlotte's magical Wonder Glow, it basically gives a healthy dewy glow to the skin and an instant pick me up. I pop this on just after my moisturiser and it gives my very pale complexion an instant healthy and brighter lift. It's hydrating and just makes my skin look so much more fresher. I've also really been loving this. 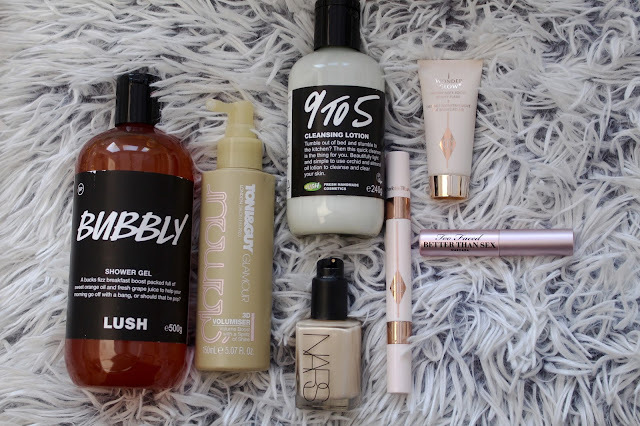 and that is my September Favourites. We are now well and truly in Autumn and well October is looking pretty damn gorgeous already, with the weather constantly changing my skin does too so today I wanted to share a little skincare update with you all and introduce you all to a few products that I'm currently loving, or tend to use during Autumn, I've got quite a mix as per usual and included both Highstreet & Highend beauty products. 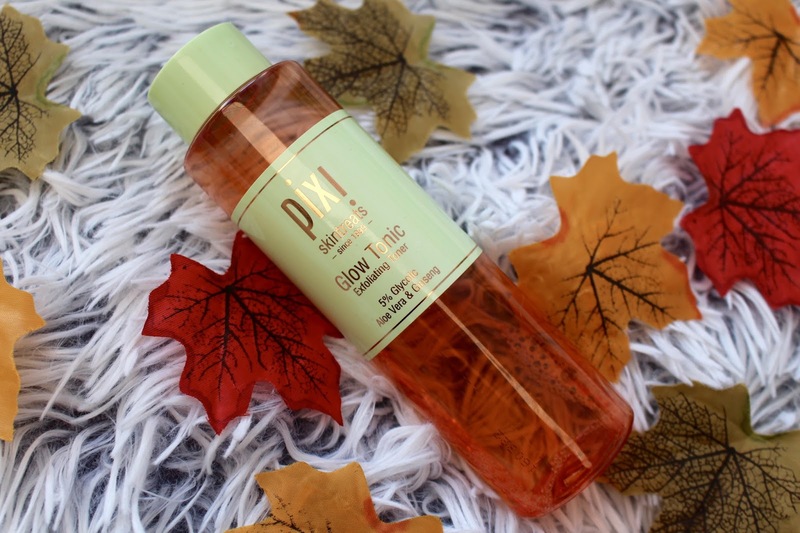 First up we have my trusty Pixi Tonic Glow Toner. Now I use this every single day of the year morning and night and no other toner can beat this one, the difference in my skin with this is HUGE. My skin feels a lot more healthier, tighter, fresher and looks SO much brighter, I simply grab an oval cotton pad, add a few drops of this dream toner and glide it around my face avoiding the eye area. Honestly if you invest in one new skincare product this autumn make sure it's this, it's brightening and just over all the best toner EVER! 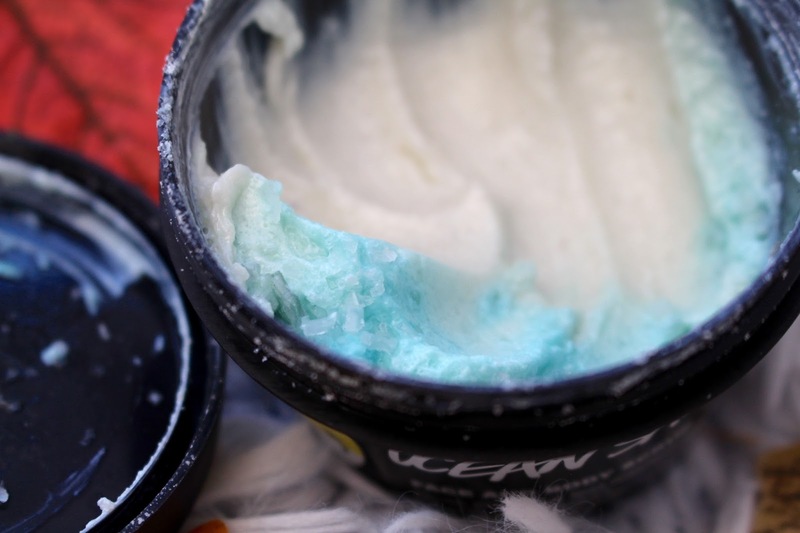 Ocean Salt is one product from Lush that I feel doesn't get enough attention! 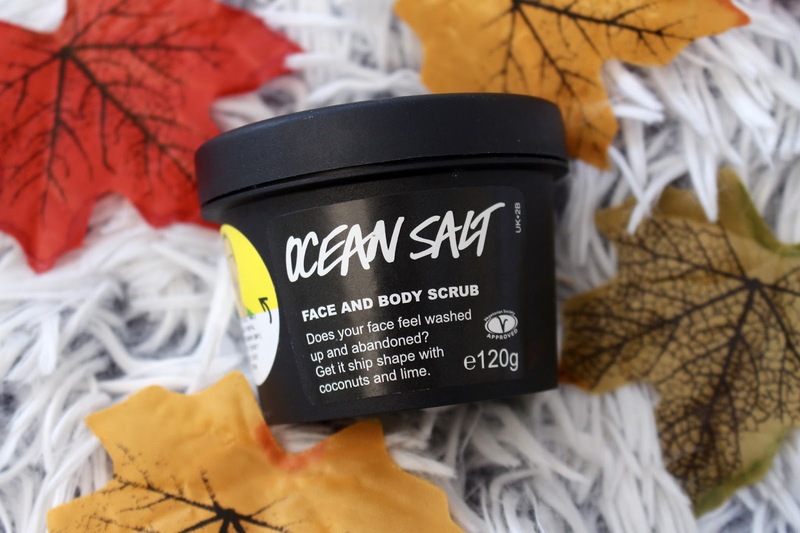 This fresh face and body scrub is flipping incredible, it's packed with avocado butter, limes that are soaked in Vodka over night and just when you think it can't get any better it's loaded with hydrating coconut Oil. It's a fine sea salt scrub that really brightens skin that's feeling tired or looking a lil meh. I tend to use this only in the autumn and winter as it's the perfect skincare product to cheat your way to brighter, fresher skin, the texture is very light and fluffy, If your skin feels tired or oily then I'd highly recommend this it's really hydrating and fights the oiliness of my skin too. It also smells like a pina colada so you know, what more could you want in your life?!? Kiehl's Creamy Avocado Eye Cream, probably the most talked about eye cream in the beauty industry, and it's for a reason......it actually IS hydrating and gives your eyes that constant hydration that they crave. I use this everyday but in the Autumn it's one product that everyone should at least try if not buy. It will change your eye life trust me. 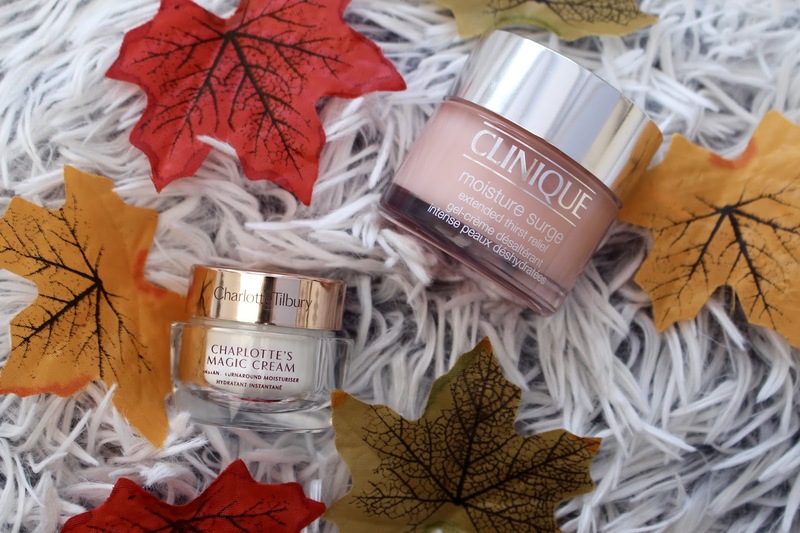 Overnight masks are a must (if you ask me) in the autumn and winter. 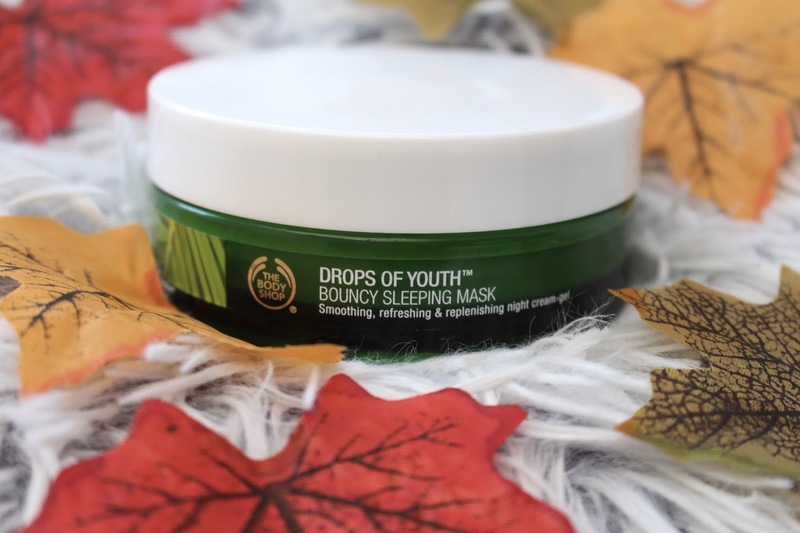 My top two are my trusty The Body Shop Drops Of Youth Bouncy Sleeping Mask & my Clinique Moisture Surge Overnight Mask. Both of which you pop on top of your moisturiser at night and sleep in. Now you've never felt your skin so hydrated and nourished until you've tried one of these bad boys, trust me. I like to use an overnight mask 2-3 times a week as my skin just instantly feels more plump and moisturised when I use them. Moisturisers are something that change all the time, let's face it skin and skincare is something unique to each and every single one of us. 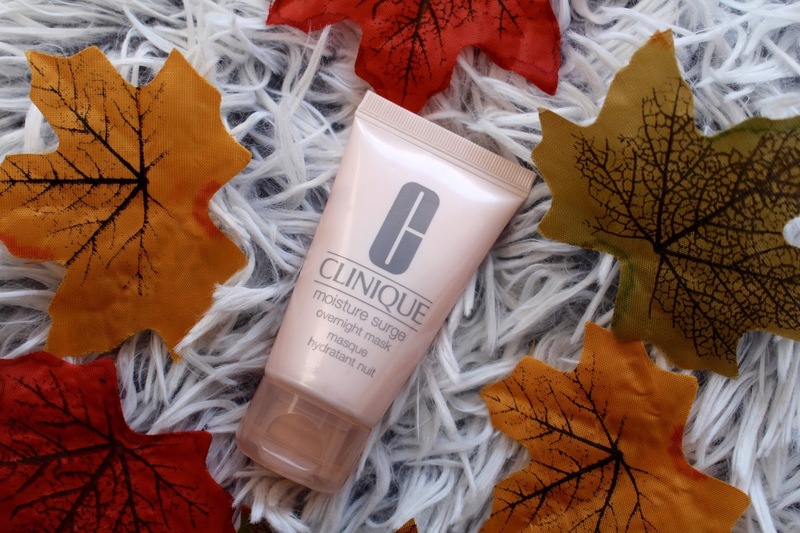 The two moisturisers that I swear by are my favourite Clinique Moisture Surge Extended Thirst Relief Gel & Charlotte Tilbury Magic Cream. Both of which I've done reviews on which you can read here & here. They are both insanely good and although come with a hefty price tag are worth completely & every single penny & pound. 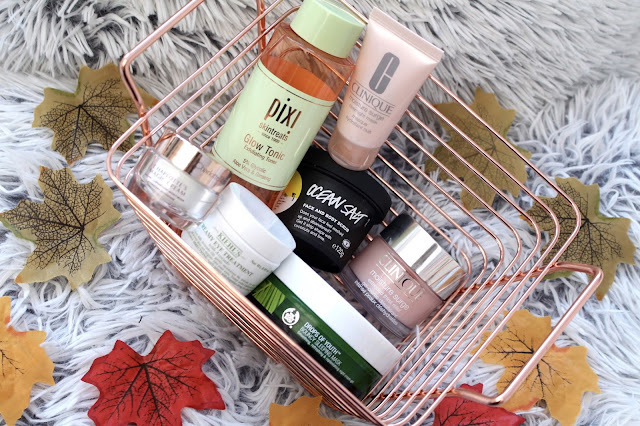 Well, there you have it a little update on my Autumn skincare and a few new products! What's in your Autumn Skincare?